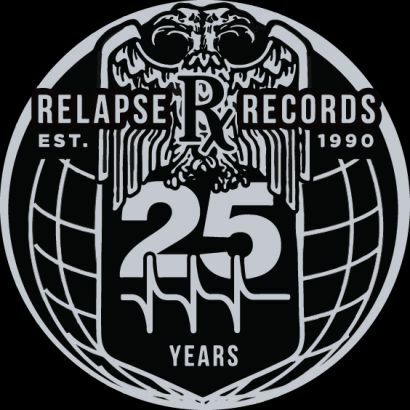 Renowned independent metal label, Relapse Records, will be celebrating it’s 25th anniversary throughout 2015. Originally founded by Matthew Jacobson in 1990, the label quickly became one of the most celebrated and influential independent labels in heavy music history. The label has big plans for the monumental anniversary including numerous special releases, events and partnerships all year long. First and foremost, Relapse will be reissuing a significant amount of classic and underground titles from throughout the label’s history on deluxe vinyl. Albums from artists like Mastodon, Nile, Dillinger Escape Plan, Neurosis, Amorphis, Incantation, Human Remains, and many many more will get the deluxe reissue treatment after being long out-of-print or never-before-available on wax. Additionally, a special, super limited silver colored vinyl of every record released/reissued in 2015 will be made available exclusively from relapse.com. Relapse will be publicly celebrating its silver anniversary at next year’s Maryland Death Fest alongside current and former Relapse artists Amorphis (playing Tales From The Thousand Lakes in its entirety), Obituary, Neurosis, Suffocation, Agoraphobic Nosebleed, Cephalic Carnage, Primitive Man, YOB, Tombs, Devourment, Origin, Skinless, Inverloch, Inter Arma, Serpentine Path, and Noisear.